I would never have thought olive green would go well with a citrus yellow if I hadn't seen it on the skirt. Looks like lots of colors look good with olive green. 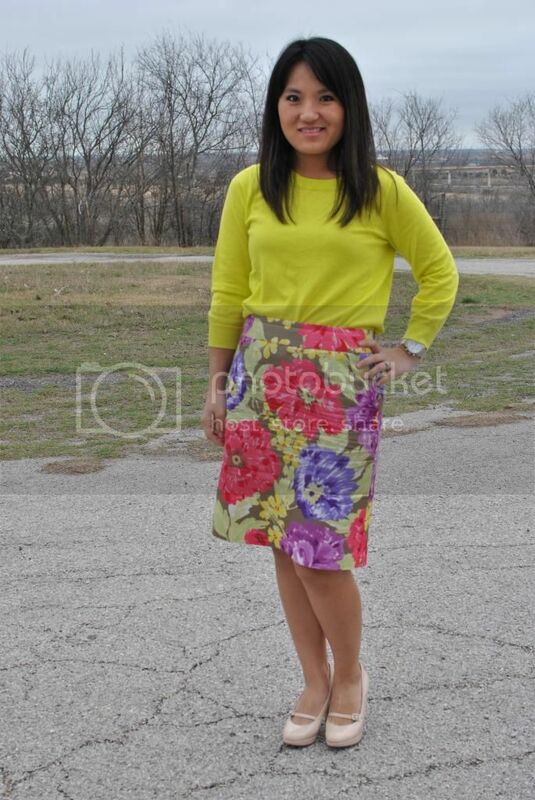 I'll have a lot of fun mixing different colored tops with this skirt this spring.